Being frugal doesn’t mean you are an extreme cheapskate and can’t buy anything you want in life. Living frugally means that you make the necessary choices in your life to be less wasteful, more resourceful and thus spend less money than the average consumer. It is all about finding creative ways to save money where you can. That means using life hacks, savings apps, rewards programs, finding freebies, and actually doing a lot more yourself than relying on society to do it for you. 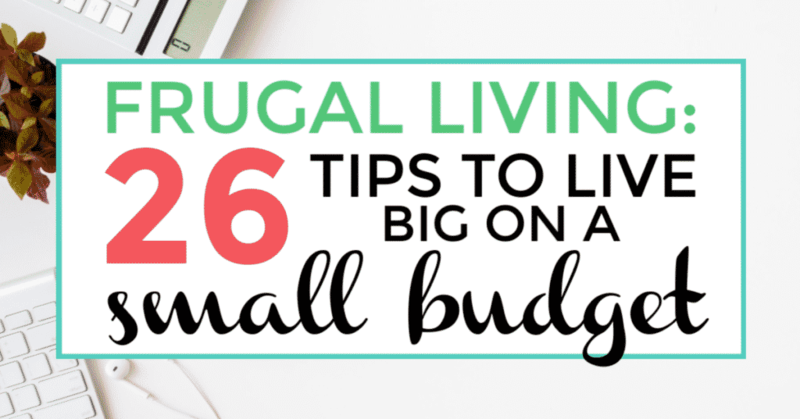 Let’s explore some of my favorite frugal living tips that make our lives more sustainable.